When I was younger, I had aspirations of becoming a baker. Maybe it was due to my high exposure to Food Network or due to my overly sweet sweet tooth … who knows? The first time I ever baked was one to remember (not in a good way). Snickerdoodle cookies were my baked good of choice. I followed the instructions with ease and panned over the ingredients list as if I knew it by heart. With sheer pride, I took the cookies out of the oven but I noticed they did not melt into a gooey, fluffy disk. Instead, the cookies remained poignant and stiff. It was then that I realized I forgot to add the butter. To make matters worse, my family humorously started throwing the cookies around as if they were baseballs. However, my experience with baking did not stop there. I continued to find cookie recipes that trumped my first batch of cookies. It is safe to say that I have found the holy grail recipe of all: This is the one I share with all of my friends, family, co-workers, hallmates — everyone — and it would be uncharacteristic of me to attend an outing without bringing these simple yet fluffy and indulgent chocolate chip cookies along. Microwave butter until fully liquid. In a separate bowl, whisk together flour, baking powder and baking soda. Pour melted butter into a large bowl and whisk in the brown and white sugar. Add the eggs and whisk, followed by the vanilla extract. Blend in dry ingredients in increments. Once blended, add chocolate chips into the mixture. Mix with hands. Roll dough into 1 tablespoon-sized balls. Line the balls on parchment paper, leaving 1-inch gaps. Bake for 10 minutes and let cool for 10 minutes. 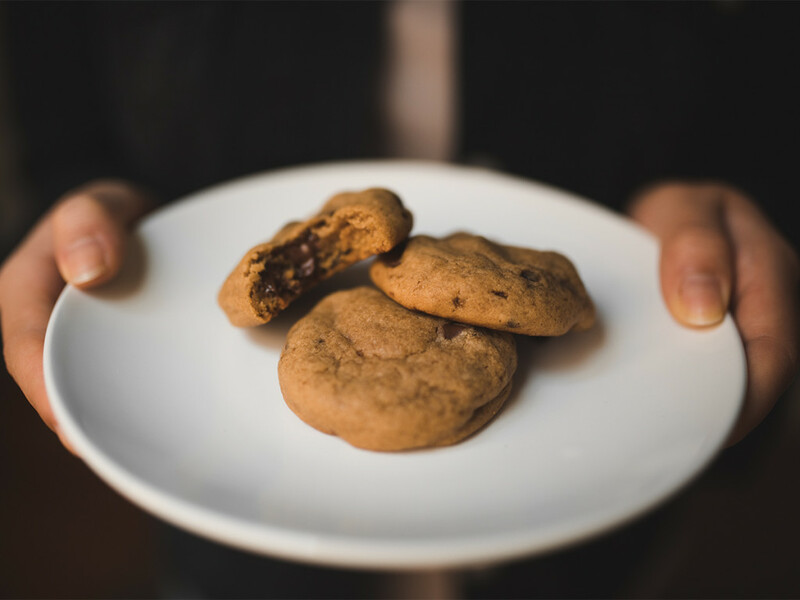 If the cookies slide off the parchment paper easily and don’t leave remnants of dough behind, you know that your chocolate chip cookies are ready to serve and enjoy! 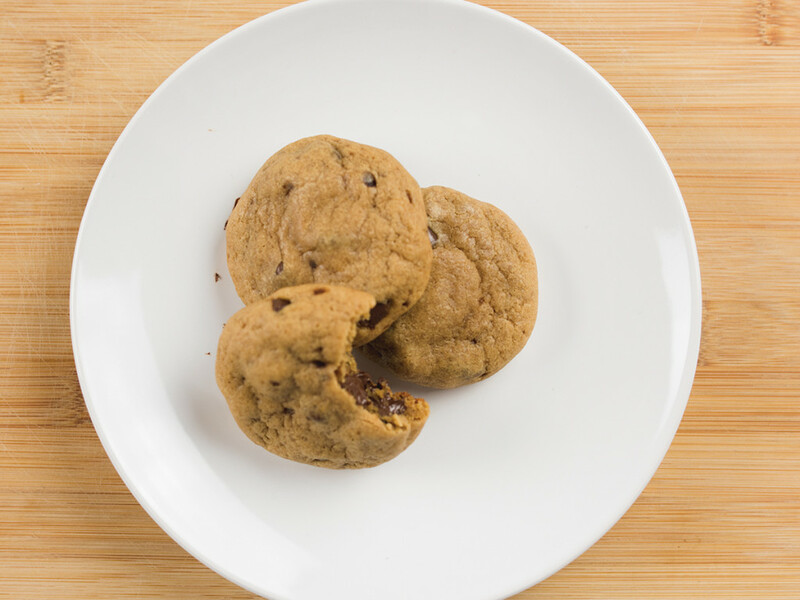 Don’t forget to check out our YouTube channel @HighlanderTV for our newest recipe video on these scrumptious Simple Chocolate Chip Cookies!